A clinic dedicated to patients with glomerulonephritis (GN), opened this fall by the Duke Division of Nephrology, offers a more convenient, centralized setting to help patients comprehensively manage the complexities associated with GN. Patients presenting with symptoms concerning for GN often require kidney biopsy, immune suppression treatments, and meticulous long-term monitoring that includes frequent blood and urine laboratory tests. They may require multiple outpatient visits to monitor changes in health status related to GN or adverse effects of treatment regimens. “The goal of this clinic is to localize the care of glomerular disease,” says Harpreet Singh, MD, a nephrologist and GN specialist who completed advanced training focused on the care of patients with GN. “By creating a dedicated clinic, we can respond quickly to identify the medical challenges that often occur and develop a personalized treatment plan.” Patients referred with proteinuria or hematuria can receive prompt testing and care at the clinic, she says. Nephrologist John Duronville, MD, has helped streamline the native kidney biopsy process to simplify reviews of test results. Duronville is one of a growing team of nephropathologists at Duke providing GN diagnosis. Others include David Howell, MD, PhD, and new faculty member Laura Barisoni, MD. The goal of this clinic is to localize the care of glomerular disease. By creating a dedicated clinic, we can respond quickly to identify the medical challenges that often occur and develop a personalized treatment plan. The most common presentations expected to be treated at the clinic include focal segmental glomerulosclerosis, lupus nephritis, anti-neutrophil cytoplasmic antibody (ANCA) vasculitis, IgA nephropathy, membranous nephropathy, and minimal change disease, Singh says. The glomerular disease clinic will also allow patients to be enrolled in clinical trials and multicenter registries in the future to extend existing Duke research that has helped identify several gene mutations responsible for familial focal segmental glomerulosclerosis. 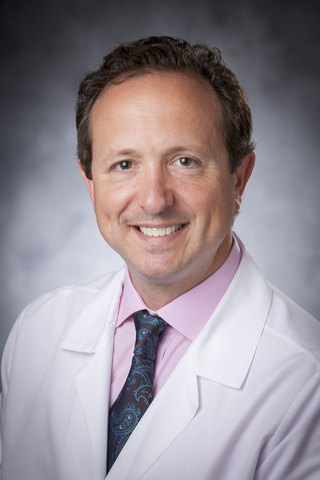 “We are eager to build on this foundation to improve the health of patients with GN by blending Duke’s high-quality, personalized patient care with innovative laboratory investigation of the molecular mechanisms of GN and recruitment into clinical trials that help advance new treatments,” says Myles Wolf, MD, MMSc, chief of the Duke Division of Nephrology.